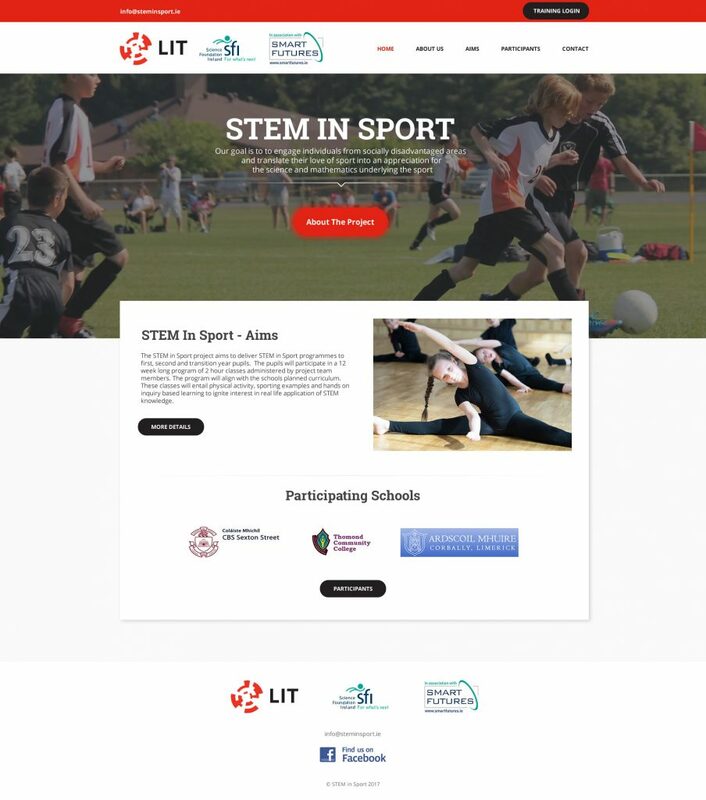 The STEM in Sport website and e-Learning platform was one of our favourite projects to work on as it was a perfect match for our in-house skills in web design, web application development and e-learning management system design. It is also a topic that is close to our hearts, being keen supporters of both sport and science. Like our clients we believe that a healthy balance between Sport and Science, Technology, Engineering and Maths is a perfect combination for any young student. Introducing the STEM subjects true an enjoyable medium such a sport is a clever idea that has encouraged students to gain an interest in STEM subjects where they otherwise may not have done so. At Irish Web HQ we are proud to work with top quality learning institutions such as Limerick Institute of Technology, particularly and projects such as these. The website and e-learning system work perfectly on iPhone, iPad and all Android devices. For the website we programmed the administration system to be really easy to use. We used the WordPress API to program the administration system to be straightforward for any semi-technical administrator with basic word processing skills to use. We also set up the administration system for the learning management system using the open source LMS “Moodle”. Again a focus on user experience and usability was at the forefront of our development process throughout this project. Our clients are very happy with the results and the website is actively being used to encourage engagement in the STEM subjects by students who would otherwise be less likely to show an interest.